No, not THAT Seinfeld, this Seinfeld! Description: This quest was originally a side project that I was making for one of my friends on another forum. Quickly, it became something else entirely. It had become one of my main projects, as I was getting bored of my original quest that I was making, which is currently on an indefinite hiatus. I like to think of this quest as sort of a spiritual successor to Nostalrul. It sort of has that same comedic feel to it. However, instead of this quest being a satire quest, this one is more a quest with silly themes, but otherwise, still a serious and actually, very simple story. Think Earthbound, since that's sort of the style of comedy I was going for when making this. The quest itself has heavy themes of exploration, and talking to NPCs, The NPCs in the quest give hints, whether they be useful or irrelevant, almost every NPC is intentionally helpful in some way, shape or form. 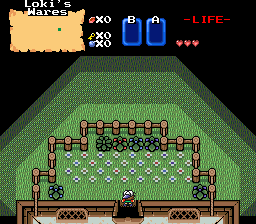 The intention is that after obtaining the Wooden sword, there's sort of a Megaman style going on, where you have 4 different dungeons you can access from the getgo. Beating one of them gives you access to another. The idea would be "Level 1 > 5", "Level 2 > 6", etc. 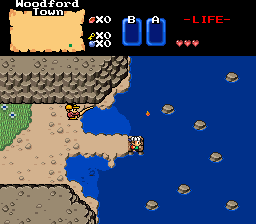 NPCs receive changes in dialogue as the game goes on as well, showing a passage of time. Story: Erick, a young boy from the town of Woodford, took it upon himself to follow in his father's footsteps, and become a treasure hunter. Around the same time, his father decides to go on another treasure hunt as well. Who knows, you may even meet him again on your journey, or several other people as well. -A few of the songs are placeholders. -Contains the first village and nothing more. 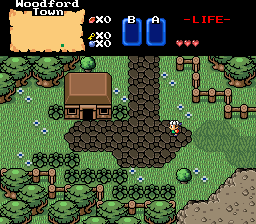 -The village changes a little bit whenever you get the Wooden Sword. Edited by Nexas, 26 October 2014 - 11:12 AM. This was a pretty good quest for the Expo. Okay, I'm going to start streaming in around 5 minutes, I'm pretty sure that most people who are going to watch my stream of this quest is probably already on my page, but I'll share the link anyways. This is a good demo, it really set up the mood of what can potentially be a great quest, but I had to vote this a 3 due to the lack of content. The entire demo that's provided here lacks so much content. Just a town pretty much. I was hoping to kill a few baddies, or even explore part of a dungeon, unfortunately though, there is none of that. It doesn't make it bad, Demonlink had pretty much done the same thing in the demo last year (and probably this year too, I haven't tried). Either way, I just felt that this demo really did miss out on the opportunity due to the lack of field exploration or dungeon content. But it doesn't really make it bad, if you get what I mean, just the opportunity missed to express this quest at it's full potential. Either way, I enjoyed streaming this quest, and I will share an LP here as soon as I can. No worries, I intend on the first non-expo demo having the first two dungeons. I simply didn't have it now, due to time constraints. Edited by Freya, 28 October 2014 - 04:44 PM. Well, I rated this a "Three" due to lack of content. I like the approach you're going for, but it was a tad too short. This is actually a very good BS quest so far, no actual errors nor anything to actually complain about. Still, I would have liked to see more of this, but from Quest Developer to Quest Developer, it's understandable of why lack of content was present. Are you sure this is going to be a quest about nothing? Edited by HavoX, 02 November 2014 - 08:33 AM. Due to a lack of content, I gave it a 3. Not saying it's bad at all! I can't wait to see what there is to offer in the future! "Springfield" has an amazing amount of potential to become something truly unique and enjoyable. I (Shane, otherwise known as peacockloveryyYyYyy) sincerely believe a lot of people failed to see the true novelty of the demo presented before us. 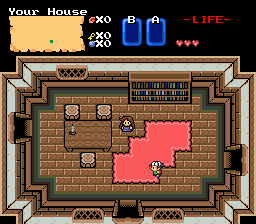 To simply put, this demo felt more like a live experience on how this quest will come to be when the final product is released onto the PureZC Zelda Classic quest database. The non playable characters (NPCs) all have a certain charm that you can bond to more than just a burning village or NPCs that are just there to say whatever. Why you may ask? Because the author (sonicfan350) added personality into each character and was considerate on what each NPC would say with logical explanation on why. Zephyr_Eevee knew what he was doing when he submitted this demo. Yes, he defied those who wanted quantity over quality like the badass Goriya-phone he is. He is the Auron of PureZC. Such badassness deserves a 5. But even clear professional reviewers such as myself -- *COUGH COUGH* OBVIOUSLY LYING *COUGH COUGH* -- can see the tiniest of flaws. I'm inclined to agree somewhat with the majority who have spoken of a serious lack of content. But the quality of the demo deserves higher than a 3 (Good), in my humble-yet-OBVIOUSLY-expert opinion. I'm giving this a 4 (Great). Good luck with "Springfield" and may the klops be with you! Edited by Shane, 06 November 2014 - 04:42 AM. Well, I have to say the spritework is really damn good in this demo, so kudos there. The town has a nice layout and I really enjoyed the dialog with the NPCs. The game gives off kind of an Earthbound-y feel. I really don't have too much to specifically comment on beyond that, mainly because it's a very short demo. I was going to rate it a 3 because of how little there is, but I don't really feel it's fair to judge a demo based on anything less than what IS being presented. That said, I'd say since the demo made me interested for more and I enjoyed what was there, I'll give it a 5/5. Good luck!